"Pin the Nose on Olaf" went so well last year I decided to do it again. I thought it was a game that younger kids would have fun, but could still be challenging for older kids too. I still had the Olaf stand up guys from last year's party. 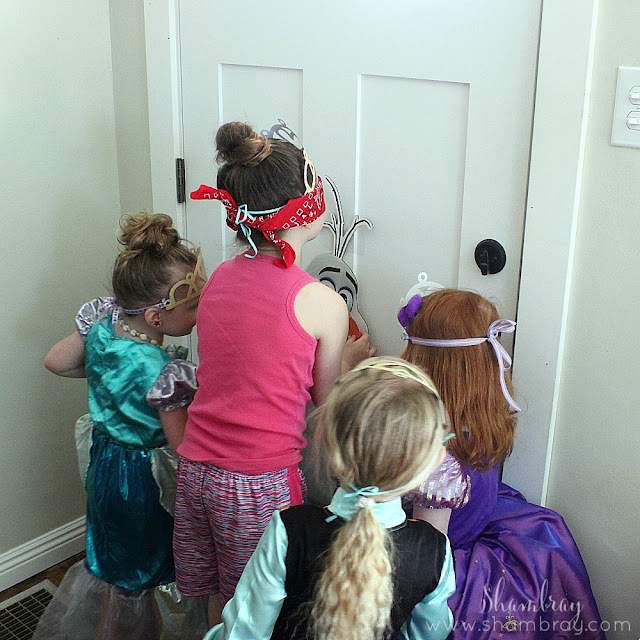 So I re-cut out some noses and attached Olaf to the back of the door and we were good. I knew I wanted to do a pinata. I also wanted to attempt to make one, but didn't want anything too crazy. 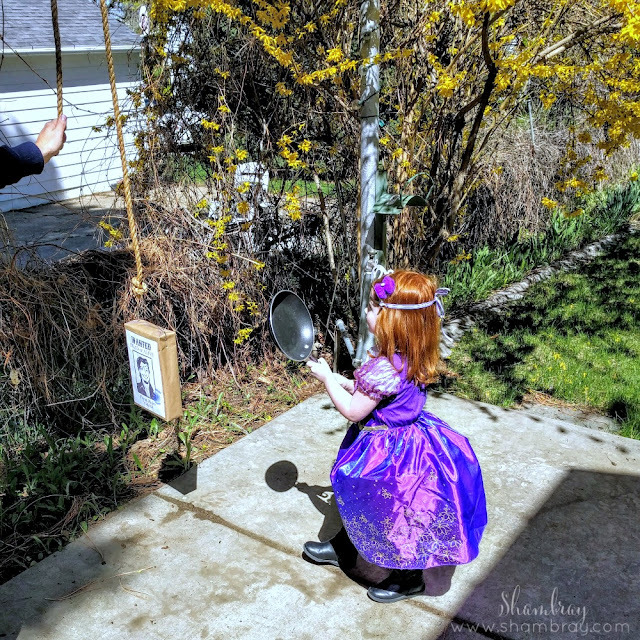 I had seen Flynn Rider's face on a pinata circulating Pinterest. So I thought I could do that. I found a tutorial on how to make a pinata using a cereal box and it was SO SIMPLE! Then I found a printable of Flynn Rider's face and glued it on the box. Oh and the best part was that they hit it with a frying pan, of course! I sort of wish I would have had the girls play the Cinderella one but I didn't want to push it and they LOVED having time to play with the gifts after they were opened. So it worked out. I think they were all a success. They each liked the games for various reasons. The games worked out for the age range too. I think for the younger girls 3 games were plenty. The older girls could have done more. So now I at least have an idea for next year. Overall I think it was a success in the game department!